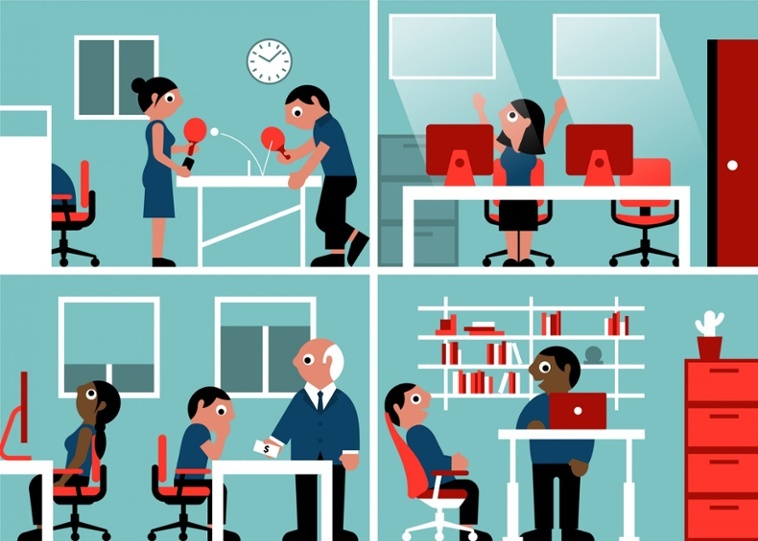 ‘Modern Workplace’ is becoming the new buzzword as Millennials start to dominate the workforce. But what do we really mean by ‘Modern Workplace’ and how do we best design office environments for future generations? There’s little doubt that Millennials differ from generations that preceded them. Including those born between 1982 and 2000, Generation Y or Millennials are the first generation to have grown-up in the middle of a rapid acceleration of digital technology, with the youngest Millennials having no memory of a world without smart devices and the internet. This digital boom has brought an increasingly closer integration of disruptive technologies into everyday life, introducing both challenges and opportunities to society. In the context of the workplace, businesses are forced to adapt to the the younger generation’s expectations of flexibility and technology in the workplace. ‘Activity-Based-Working’ (ABW) and ‘Modern Workplace’ both refer to a workplace strategy which provides employees with an activity-based workplace based around flexibility and collaboration. Often, the working space is made up of lounges, silent rooms, conversation rooms or different types of creative spaces replacing traditional open plan offices where employees have their own desk. The key idea of the Modern Workplace is that the office doesn’t constitute a physical location but an activity that varies and where employees can physically locate themselves where it’s most suitable for them to perform their job. Ultimately, the goal of a Modern Workplace is to provide employees with maximum flexibility in working style. Providing employees with maximum flexibility in working style requires access to up-to-date technology which enables employees to work effectively within the office, as well as remotely. According to a study conducted by RingCentral in the US, in which Millennials from 346 businesses where interviewed, as much as 50 % reported that freedom to work from any location improves work/life balance. With the development of workflow automation and communication applications, employees today don’t need to be stuck at their desk 8 hours a day. The ability to work remotely is indeed a benefit that Millennials appreciate. With the dominant generation being Generation Y, it is logical that we design spaces to address their preferences and needs. 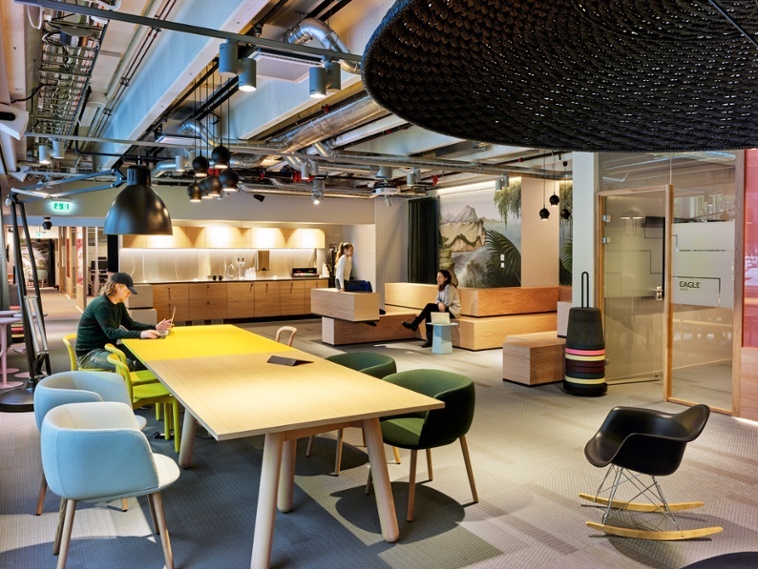 However, the real challenge when designing spaces to accommodate today’s employees isn’t solely about finding a strategy to optimise the work of a particular generation but taking all employees’ needs, expectations and requests into account. Design needs to consider both older and future generations and also ensure equal access including wheelchair users, transgender and the unique needs of future generations. The Digital Natives, also known as Generation Z (born 2000 and later) will soon enter the workforce. How do we design spaces that accommodate a generation that can’t relate to a world without technology while simultaneously accommodating for people born in the 1950’s and 1960’s? There is no simple answer, however it is evident that we need to broaden our perspective and address the needs of all generations. Now.